Dental health is just as important for your dog as it is for the rest of your family. Unfortunately, it is an aspect of pet care that often gets forgotten but staying on top of your dog’s dental health can prevent other life-threatening health issues, including the liver, kidneys and heart problems. At our clinic, we provide a full range of dental services and products, to help your pet live a long, healthy life. At our clinic, we offer routine dental cleaning and polishing, extractions, gingival hyperplasia and have access to digital x-ray. Digital x-ray helps us see under the gum line and check the health of the tooth and root. This way we don’t extract teeth unnecessarily. Plaque takes 24 hours to turn into calculus, therefore at least once daily brushing for maximum effectiveness. Start young, be consistent, and make it as positive an experience as you can while still completing the task on your terms. 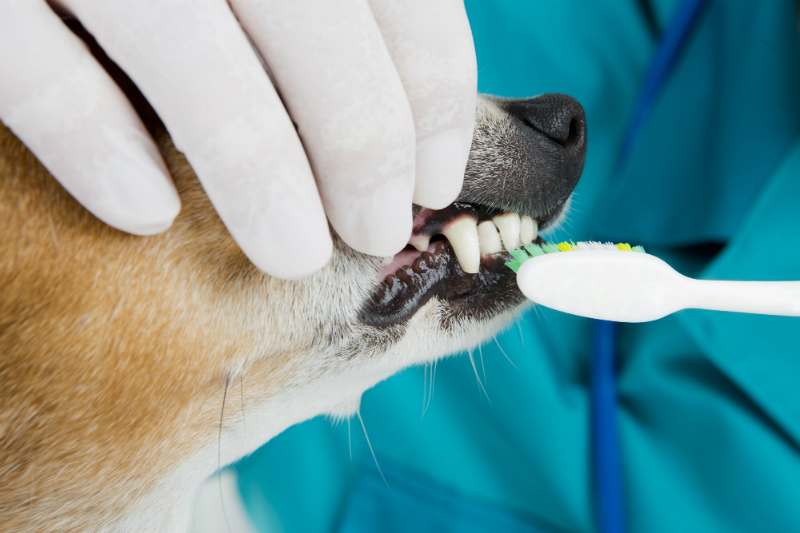 Dental and oral health is a vital part of caring for your dog. Poor dental care doesn’t just affect their mouths; the bacteria generated by dental disease could eventually enter your dog’s bloodstream and potentially damage their heart, liver or kidneys. This is why it’s imperative we take good care of Fido’s teeth and mouth.